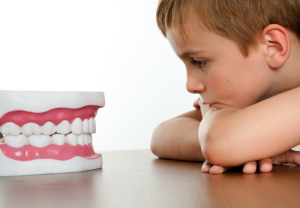 Quiz: Do My Kids Need Children’s Dentistry? You may be asking yourself: Do my kids need children’s dentistry? After all, if baby teeth are going to fall out anyway, why should they see the dentist? In reality, regular dental care is vital for protecting oral health and instilling good dental habits. Children require the same routine care as adults. True or False: Children need six month checkups and cleanings. True or False: Our office offers bite and alignment evaluations. True or False: Baby teeth with cavities still require repair. True or False: We offer preventive treatments to help avoid tooth decay. True. Like adults, children require regular preventive care to avoid common dental health problems. A checkup allows the dentist to watch for the warning signs of a problem and address the issue in the earliest stages. A dental cleaning enables the dentist or hygienist to remove plaque from the teeth, offering a brighter smile and a reduced risk of gingivitis. True. The American Association of Orthodontists recommend a child’s bite and alignment be examined as early as age seven. We can do this to identify your child’s risk of developing misalignment, starting treatment earlier to reduce the amount of time a child may need to wear braces or other orthodontics in the future. True. You may assume a cavity in a baby tooth is no big deal. After all, the tooth falls out eventually, right? Unfortunately, decay will continue to spread once it develops, leading to painful infections and possibly requiring premature removal of the tooth, which can cause other teeth to erupt out of place. True. To strengthen your child’s defenses against tooth decay, we may recommend two unique preventive solutions: fluoride treatments and dental sealants. If you have any questions about our approach to children’s dentistry, we urge you to contact our office today.